You and your students will love this print-and-go novel unit for this exciting novel. This guide includes a variety of graphic organizers, vocabulary building questions, and a series of text-dependent questions for each reading assignment that are designed to help students cite evidence and think critically. CCSS-alignment provided for 4th and 5th grade. Students will become engrossed in this powerful Newberry Honor book, and this novel study will help them make sense of what they are reading. 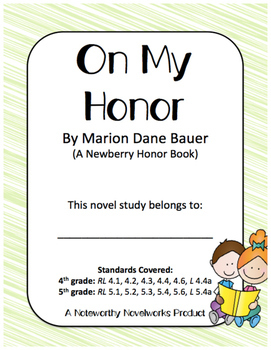 The chapter-by-chapter format will help students as they wrestle with the concepts of honor and keeping promises alongside the main character. 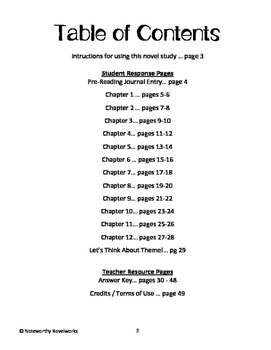 Each chapter has a before, during, and after reading section. Vocabulary building using context clues is included in every chapter, and there is an end-of-novel theme analysis to help students really understand the messages in this novel. 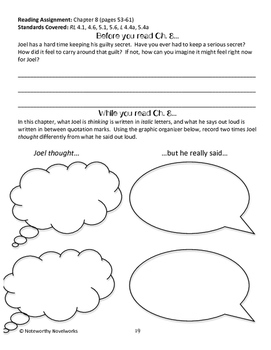 Text dependent questions require students to reread, analyze, and think critically about what they read! A detailed answer key is provided for all questions to support you as you guide your readers through this rigorous novel study. 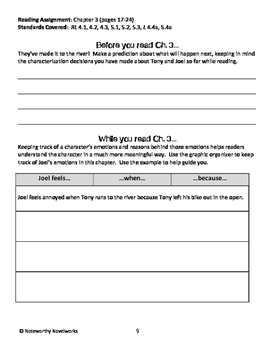 This novel study can be used for guided reading, independent reading, book clubs, literature circles, etc. CCSS aligned for 4th and 5th grade, and alignment for each question set is provided on the student pages and the teacher key. This novel study makes page number references that correlate to the Yearling 1986 copyright edition.